“YOU know what Facebook needs? More badly framed, out-of-focus iPhone photos of average looking babies” - said no one ever. Next to dodgy baby photos (those ones where their faces are covered in “chocolate” are the worst - parents, STOP POSTING THOSE) the only things more annoying on social media are the people who endlessly beg you to like their page, or retweet their cause, or vote for them in some competition you’ve never heard of and don’t care about. So congratulations to the evil geniuses at clothing retailer Bonds who came up with the “Bonds Baby Search”, a competition which manages to combine both of those terrible things in one highly irritating online promotion. The Bonds Baby Search is a sort of baby “beauty” competition designed to “find the next face of Bonds” baby wear. Presumably the winner will take over from the last face of Bonds who was... er... um. Well. It’s a very prestigious prize, anyway. This kind of mechanic naturally lends itself to social media spamming on an epic scale. If you’re of a certain age (ie: the age where your friends are popping out descendants) you have no doubt seen the Bonds Baby Search phenomenon creep into your Facebook feed over the past month or so - that’s if it hasn’t hijacked it altogether. “Please vote for my beautiful bubba [INSERT NAME HERE] to win the Bonds Baby search 2015!” the messages bleat, accompanied by photos of startled looking children doing exciting things like lying in their cot or standing in the kitchen. The competition has had tens of thousands of entries so far, but not everyone is enthusiastic about it. 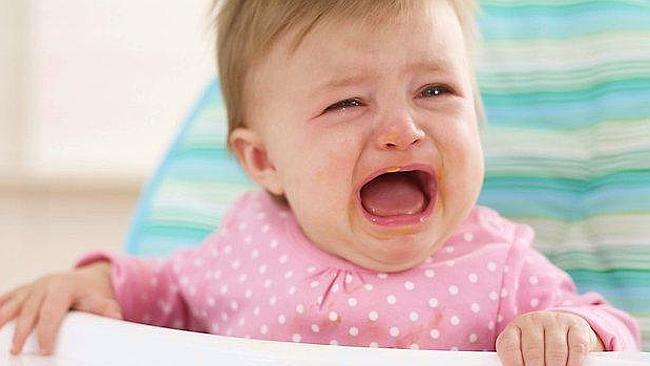 On Monday Fairfax website Daily Life wrote such a breathless attack on the Bonds Baby Search it almost hyperventilated, decrying it as “exploitative” and claiming the online photo galleries would attract paedophiles and “mentally ill people who steal baby photos for baby roleplaying”. My objections to the competition are a little less hysterical. No one cares about your baby except for you (And sometimes your family, if they’re being generous). “But my friends loved that story about how Kaylah Jayde put her underpants on her head!” you’re thinking. No, they didn’t. They were just being polite. Unless Kaylah Jayde has learned how to hotwire a car, or can skateboard on her head, or has come up with a cure for cancer, we don’t care. And we especially don’t care about a boring photo of her wearing Bonds in some non-descript location. How many relatives do you have who know how to use the internet? That’s how many votes your baby is getting, because literally no one else is going to bother clicking on his or her photo, including me. You don’t know how to use a camera. It’s not exactly clear what the voting criteria is for the Bonds Baby Search, but obviously “understanding of basic camera technique” is not one; I had a quick look through the photos and spotted at least five that were upside down. Although the notion that your baby is levitating upside down on the ceiling makes it marginally more interesting to me, I’m not voting for someone who doesn’t know how to rotate a photo. Seriously, it’s 2015: the baby you’re photographing probably knows how to use that phone camera better than you. Ask them to take a selfie instead. You have to register on the Bonds Baby Search website to vote.